Industry News Comodo Named Approved PKI Provider for Texas Department of Information Resources Jersey City, NJ, May 25, 2011 - Comodo CA Limited (www.comodo.com), a leading certificate authority and Internet security organization, today announced it has been approved by the Texas Department of Information Resources (DIR) as an Approved PKI Provider for state and local government agencies, as well as institutions of higher education. DIR placed Comodo on the "Approved List of PKI Service Providers" after Comodo complied with the requirements of Texas Administrative Code Section §203.25 and provided DIR with copies of its current certification practice statement and an unqualified performance audit in accordance with standards set in the American Institute of Certified Public Accountants (AICPA) Statement on Auditing Standards No. 70 (S.A.S. 70). The unqualified performance audit that Comodo provided to DIR was based on the independent findings of Ernst and Young LLP., as documented in the audit reports on Comodo's general computer controls related to Digital Certificate Solutions, Comodo Certificate Manager, and Comodo Two-Factor Authentication. By earning the PKI approval, Comodo can issue identity credentials to State of Texas agencies, institutions of higher education and other entities required to comply with the provision set forth in Texas Administrative Codes. "Comodo is proud to be a PKI provider approved by the Texas Department of Information Resources," said Comodo CEO Melih Abdulhayoglu. Approval as a certified PKI- vendor means organizations can now rely on Comodo's PKI to issue and manage fraud-resistant and cost-effective PKI-credentials. The Comodo PKI solution makes it easy for organizations to issue high assurance credentials for trusted and seamless interactions with Texas state agencies such as the Department of Education. 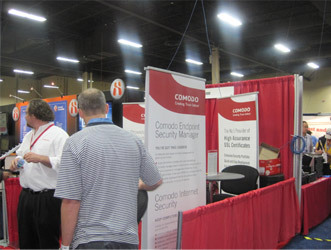 Comodo Shines at INTEROP Las Vegas 2011! 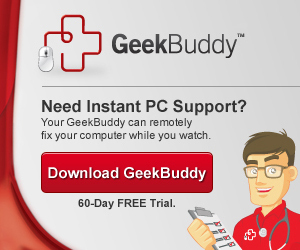 Comodo announced that Comodo Dragon, a fast and versatile Internet browser is now available for download. Comodo Vision Comodo Participates in World IPv6 Day A Global-scale Test Flight of IPv6 Sponsored by the Internet Society Comodo will participate in World IPv6 Day on June 8 to test websites and technologies for compliance with the long-awaited, next-generation Internet protocol. The Internet Society (ISOC), a nonprofit organization founded in 1992 to provide leadership in Internet related standards, education, and policy, is coordinating the 24-hour test of IPv6 for entities around the world. One of the goals of World IPv6 Day is to expose potential issues with websites deploying IPv6 under controlled conditions "Together with major Web companies, we will enable IPv6 on our main website for 24 hours. This is a crucial phase in the transition, because while IPv6 is widely deployed in many networks, it's never been used at such a large scale before," said Comodo CEO, Melih Abdulhayoglu. "We hope that by working together, we can help the industry prepare for the new protocol, find and resolve any unexpected issues, and pave the way for global deployment." 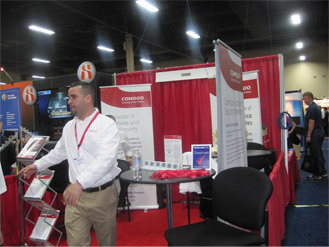 Events Comodo Shines at INTEROP Las Vegas 2011! Comodo exhibited at INTEROP Las Vegas in May. This was the first time Comodo participated at the event, which was a resounding success. Plans are underway to return next year with an even stronger presence. During the show a steady stream of customers stopped by the booth to meet with the Comodo team and learn about Comodo's new security offerings. The Comodo Monthly Insider is your source for Comodo products and new developments. Please don't hesitate to contact us if there are any topics that you would like us to cover or thoughts that you'd like to share with us. For accurate answers to your technical questions, this might not be the best source. Instead, please look in the Comodo forums http://forums.comodo.com, or open a support ticket at one of the following email addresses.